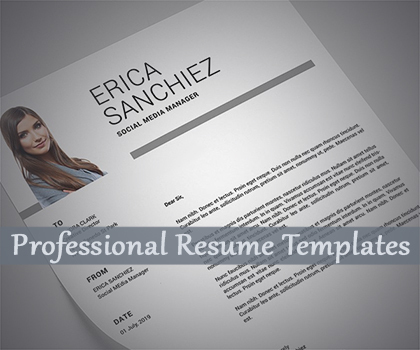 Professional and Modern Resume templates are perfect way to make the best impression When applying for your dream job / career. 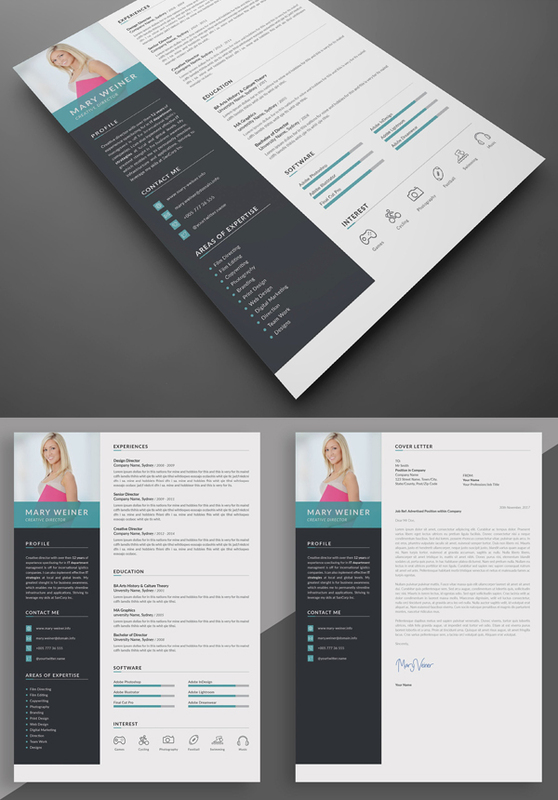 All resume templates are elegance with a modern design and well structured and very easy to use and customize. 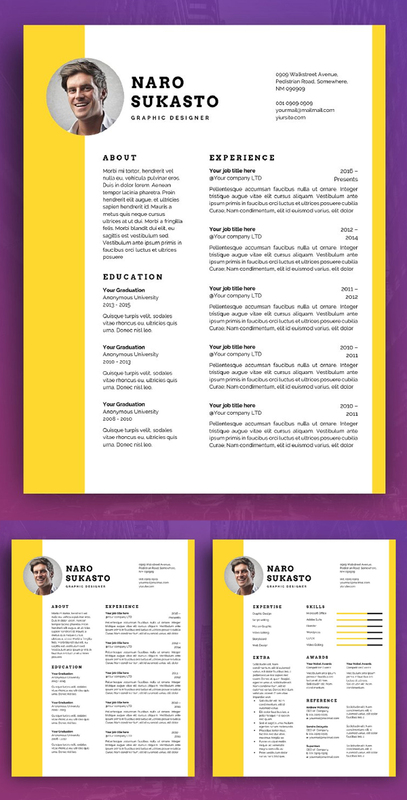 This is a collection of fresh single page or multiple pages resume templates, portfolio page with cover letters. 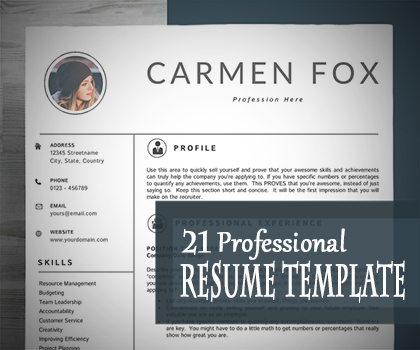 Resume templates are easy to use and customize, so you can quickly tailor-make your resume for any opportunity and help you to get your job. The design is customizable, so you can easily modify it, you can simply replace the filler text with your own information and add your own photo. 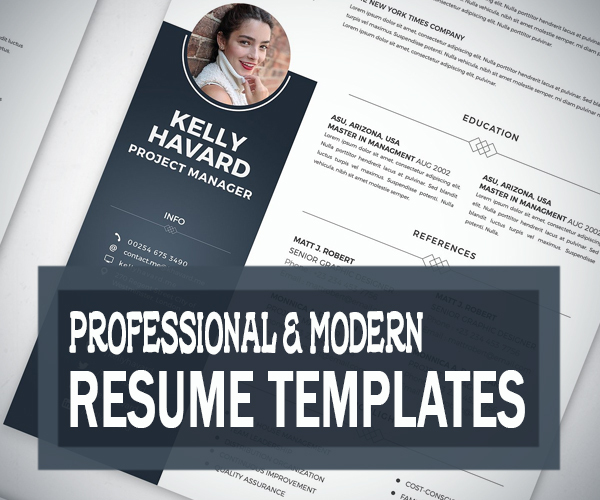 Our professionally designed resume templates will not only save you time, it will make your resume look professional by helping you organize all the important information that recruiters are looking for. 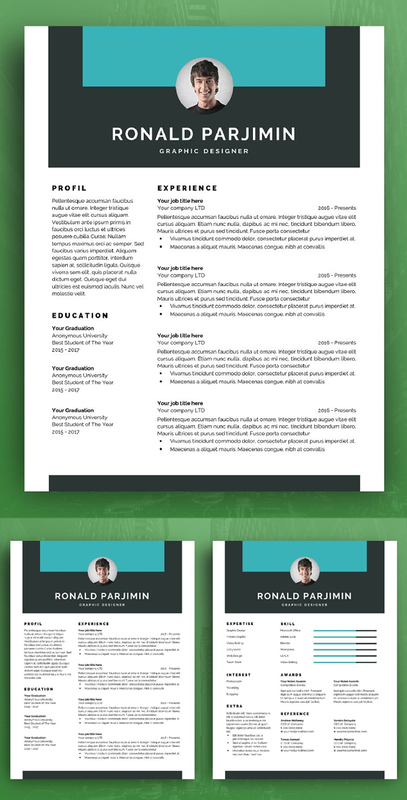 Resume Template Design (Optional second page) + Cover Letter & References for Microsoft Word US Letter and A4 Templates included. 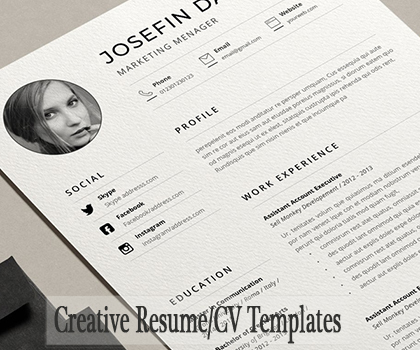 PC & Mac Compatible using Microsoft Word (.docx) Instant Download Resume Templates with Cover Letter, References Template. 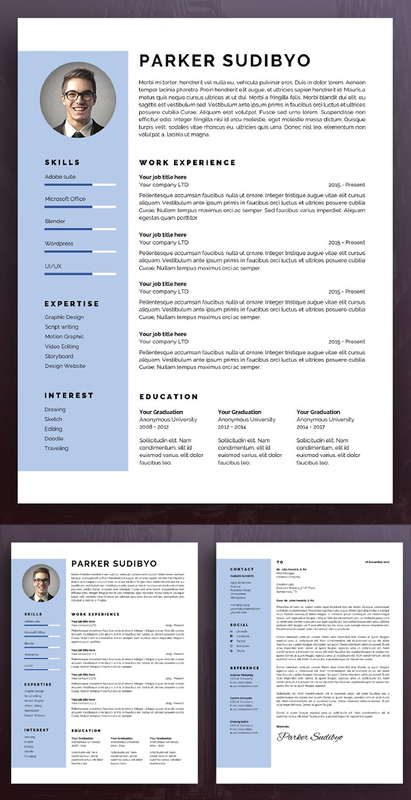 Download the Digital file for a professionally designed and easy to customize One Page Resume Template & One Page Cover Letter Template. (Bonus 30+ Icons Pack). You receive 2 Unique pages! You can use these templates for years to come, and change the colors and fonts if you would like to give it your own unique personal touch. Help you create a good resume to apply for a job. it’s easy for you to change as you expect. And hope this resume can help you get a job. 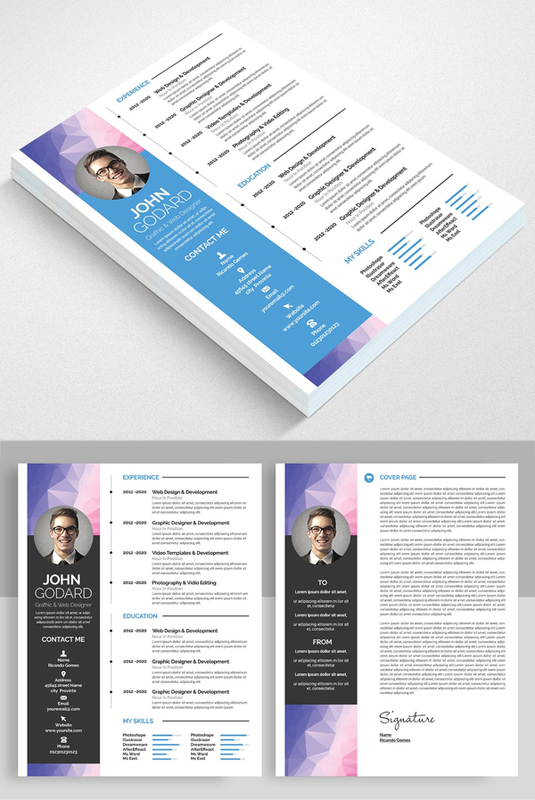 An attractive Resume/CV Template with super clean and modern look. 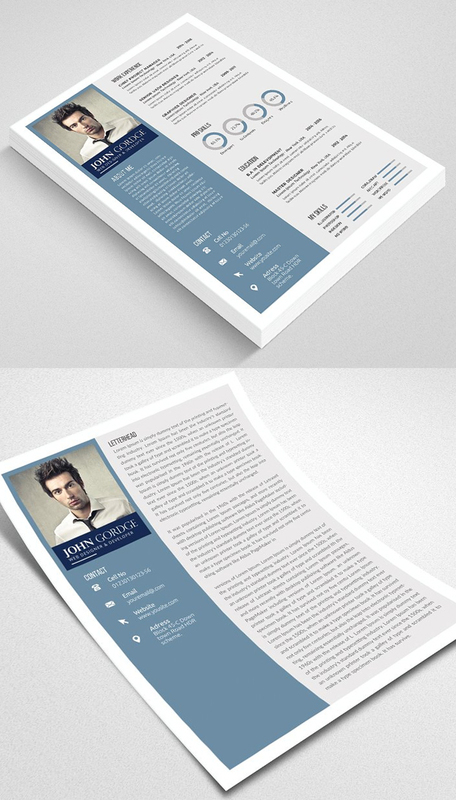 It includes one page resume and cover letter with business card. Easy to use and customize, so you can quickly tailor-make your job resume for any opportunity and help you to get your job. 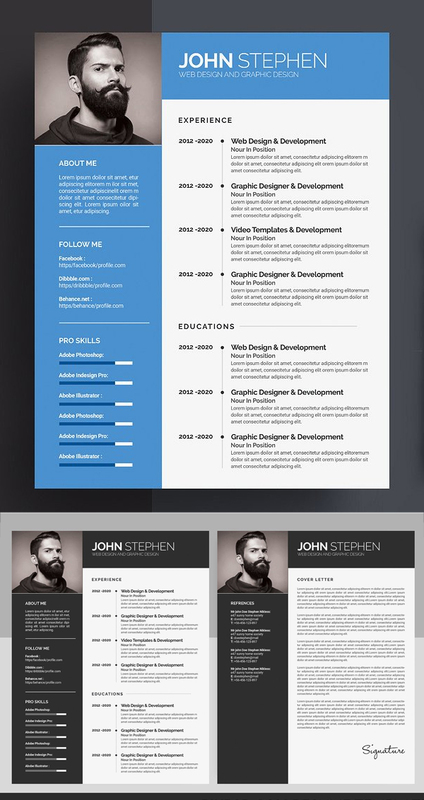 This is the fast and flexible solution for anyone looking for a professional resume. 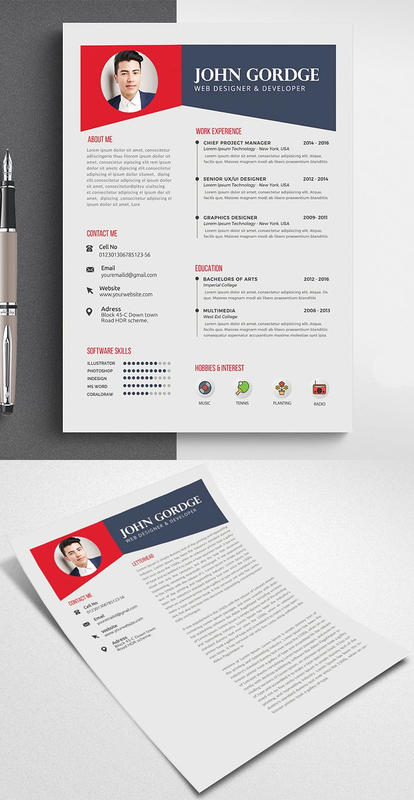 Simple and minimal Resume template. Photoshop and Microsoft Word Format. All is vector (shape and icon) Easily you can chanage color.Just One click color change option. Specification CMYK Color Mode 300 DPI Resolution Size 8.27”x11.69” 0.25” Bleed in Each Side. 2 Colors Free Fonts Editable Text Layers/li Smart Object Layer For Replace Photo Well Organized Layer. Specification CMYK Color Mode 300 DPI Resolution Size 8.27”x11.69” 0.25” Bleed in Each Side. Features 3 Colors, Free Fonts, Editable Text Layers, Smart Object Layer, For Replace Photo Well Organized Layer.